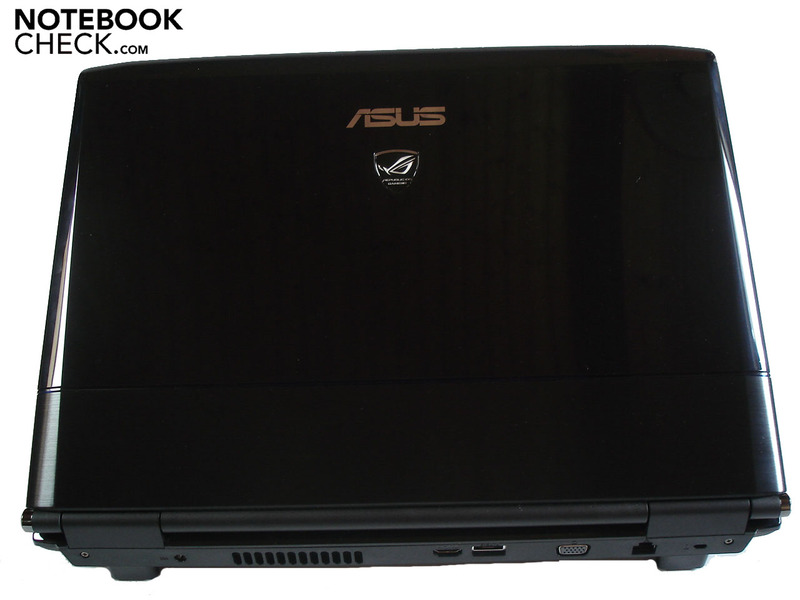 Asus releases the optically and technically slightly refreshed successor to its G71GX, the G72GX, to the market. Asus (still) waivers on Intel's new Core i7 architecture and uses, as afore, the "old" Core 2. We grabbed the top model, the G72GX-TY014V, straightaway and checked if the Core 2 Quad Q9000 and the GeForce GTX 260M are still fit for the upper-league. Currently there are several G72GX models available, whereas these only differ in the processor, the hard disk capacity and the drive. The buyer gets the best of the bargain with the G72GX-TY013V. 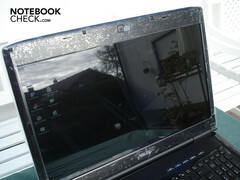 There is a Core 2 Duo P8700 (2.52 GHz), a 500 GByte sized hard disk and a "normal" DVD burner included for about 1400 euro. For 100 euro more, you can get the G72GX-TY009V. 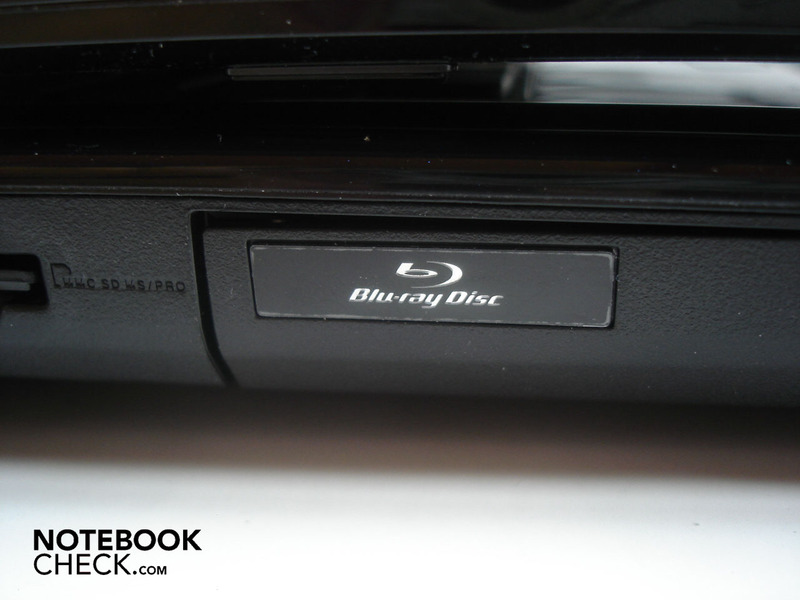 It has a Core 2 Duo T9600 (2.80 GHz), a 640 GByte hard disk capacity (2x 320 GBytes) and a BluRay drive. 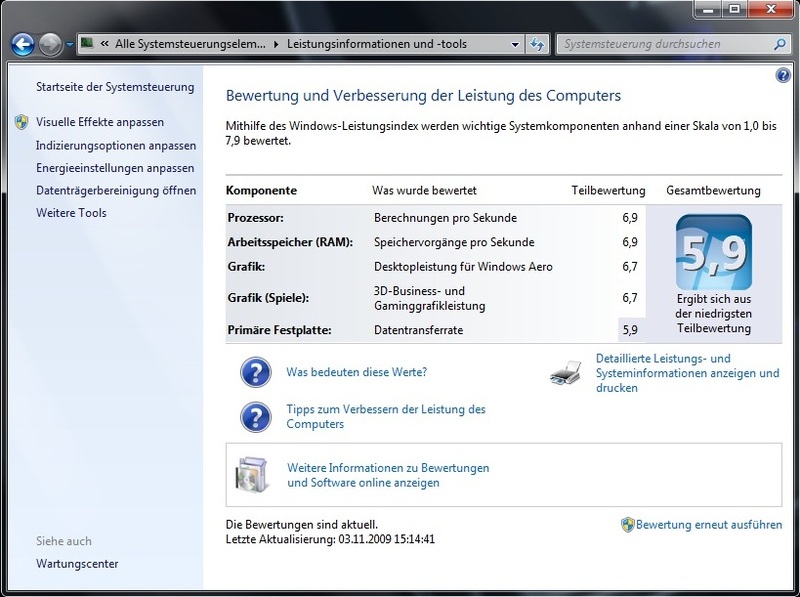 In return, you can acquire the G72GX-TY011V for about the same price, that is around 1500 euro (mainly in Austria). This has a Core 2 Quad Q9000 (2.00 GHz), two 500 GByte hard disks and also a BluRay drive. 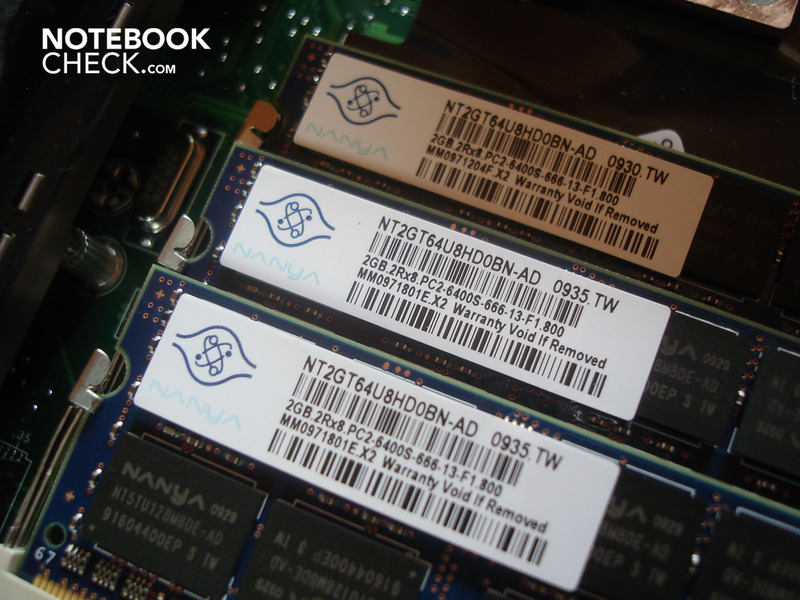 The G72GX-TY012V for 1500 euro and the G72GX-TY010V for 1600 euro are primarily similar to the TY009V but have a hard disk capacity of 1000 GBytes (2x 500 GBytes). 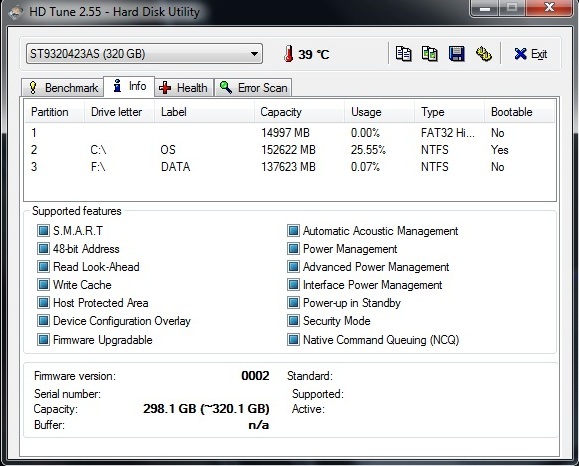 Our prototype G72GX-TY014V with a Core 2 Quad Q9000, two 320 GByte hard disks and BluRay drive also costs about 1600 euro. 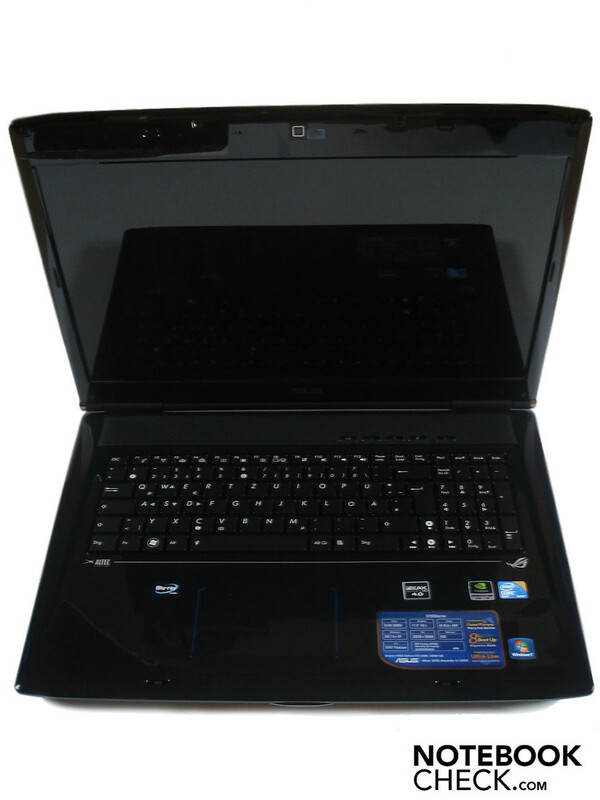 All models have a 17.3 inch display with a resolution of 1600 x 900, a 6144 MByte DDR2-6400 RAM and Windows 7 Home Premium 64bit in common. 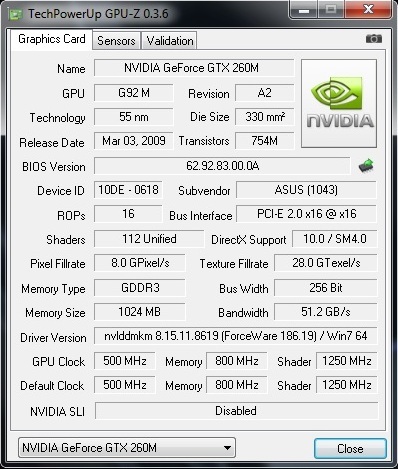 Both use the Nvidia GeForce GTX 260M graphic card, with one GByte GDDR3 VRAM. Already at first sight, the constructional and optical relationship to the forerunner model G71GX, and the little brother, G60VX can be seen. Asus shows itself to be as experiment-eager as ever as to the color and the G72GX thus doesn't gleam in a striking red/black (G71GX) or white/black (G60VX), but in a more dignified dark blue/black. The G72GX isn't as flagrant but should comply with the taste of a larger target group. 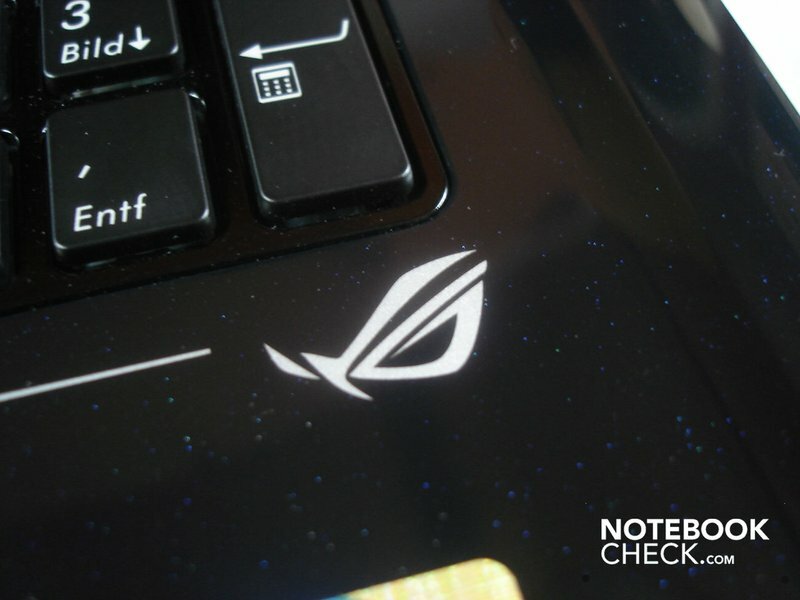 As usual, Asus uses high-gloss plastic that can scratch easily on the one hand and attracts smudge quickly on the other. The user quickly has the feeling that he hasn't polished the G72GX for years: streaks and fingerprints no matter where you look. A special feature of the case is its prudent illumination. The "Republic of Gamers" logo in the upper, and a fine bar in the lower area of the display lid have a blue light. However, the keyboard shines in pure white. 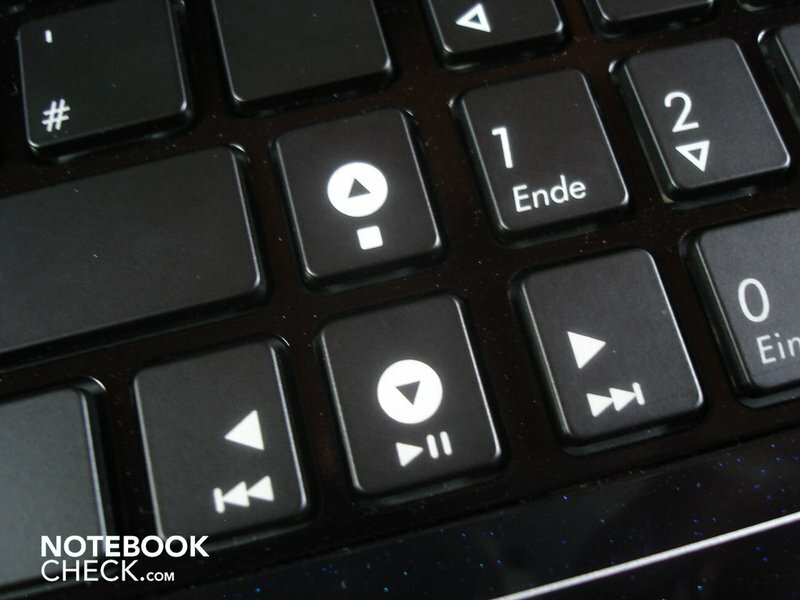 This way you won't ever lose sight of the input devices even in total darkness. 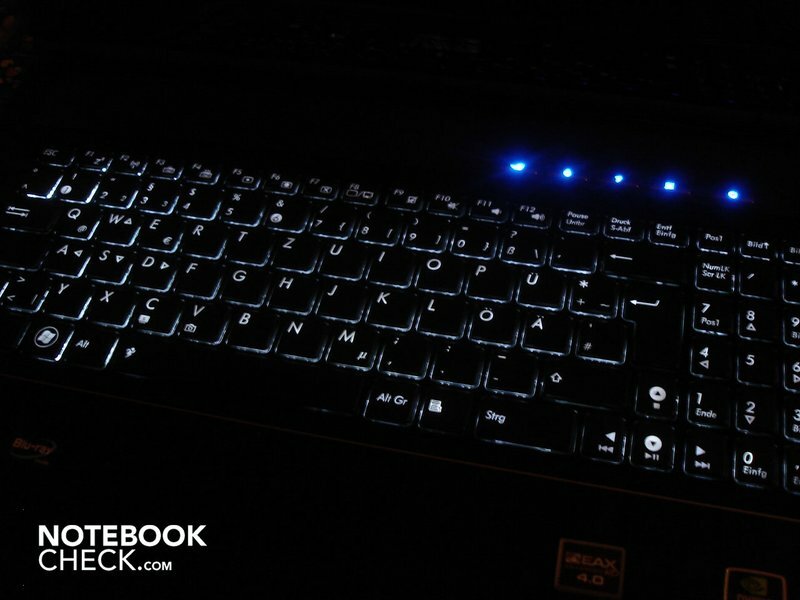 If the user occasionally doesn't want the illumination or would like to save a bit of energy, the keyboard's light intensity can be controlled via an Fn-key combination. Basically, the workmanship barely gives any reason for complaint. There weren't any flaws established, except for a hard edge on the side areas. We found the design of the G72GX was attractive, but not overwhelming. 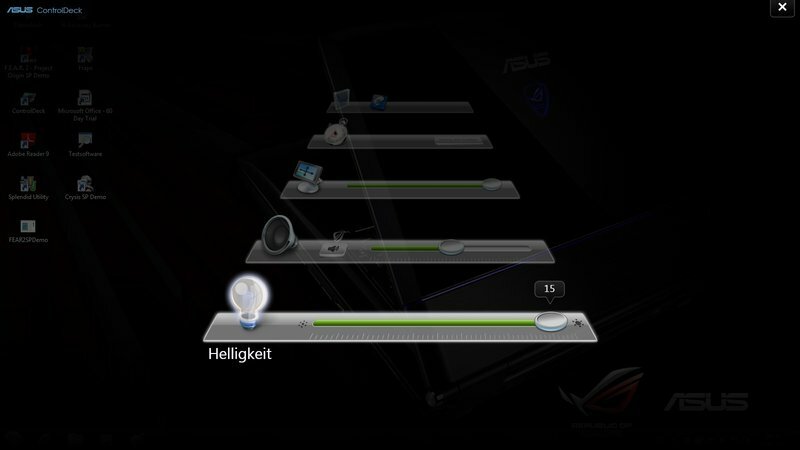 Asus is more than generous with interfaces. Alone the rear is aptly occupied with a DC-in, an HDMI and VGA out, an eSATA, a RJ-45 Gigabit LAN port and a Kensington lock. Two USB 2.0 ports and Firewire follow on the left (hidden behind a chic cover). Followed by an 8-in-1 cardreader, proficient of SD, mini SD, MMC, MS, MS Pro, MS Duo, MS Pro Duo, and XD. 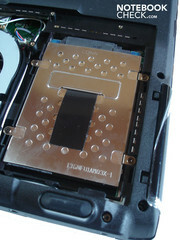 The left is completed with a BluRay combo drive. In return, the right has a 54mm slot for ExpressCards and a Bluetooth/WLAN slider (Bluetooth 2.1 und WLAN a/b/g/n). 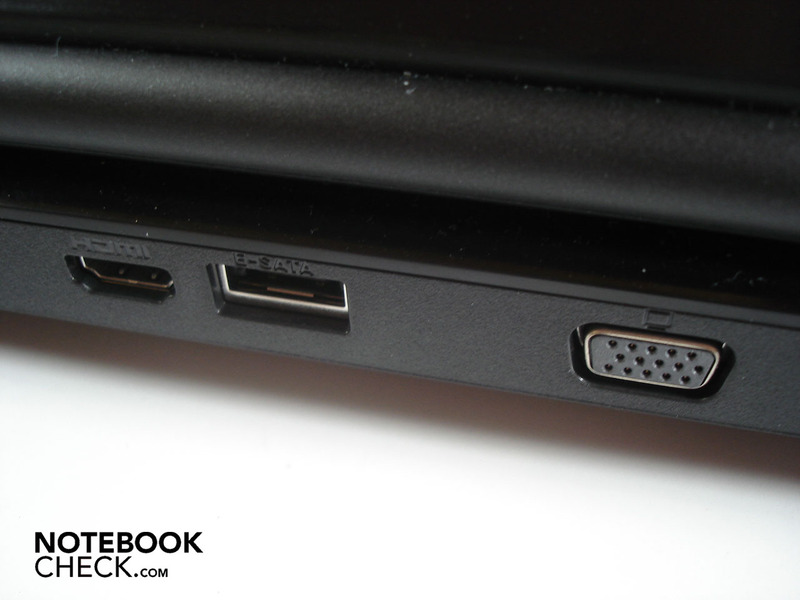 Three audio sockets (headphone, line-out, microphone/line in) and two further USB 2.0 ports are concealed behind a further cover. 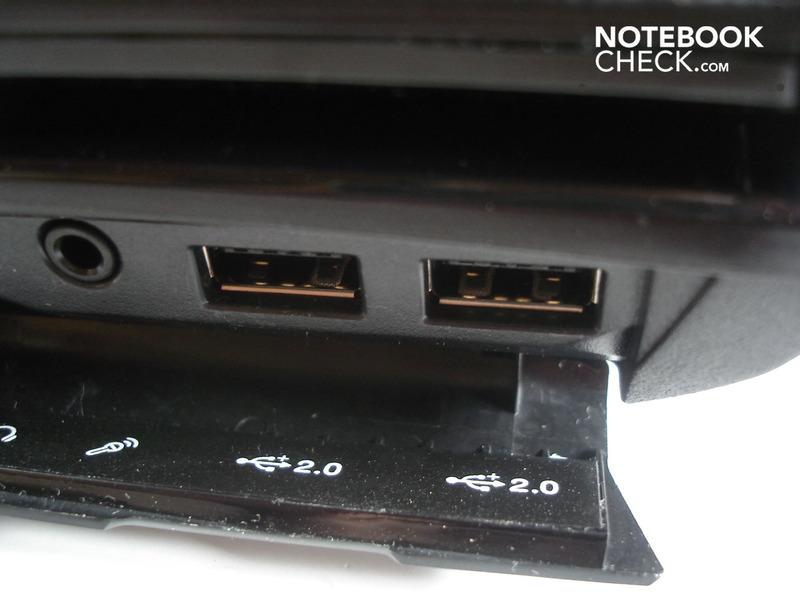 Thus, the G72GX bids a total of four USB 2.0 ports. The interface distribution has been well-executed by Asus. 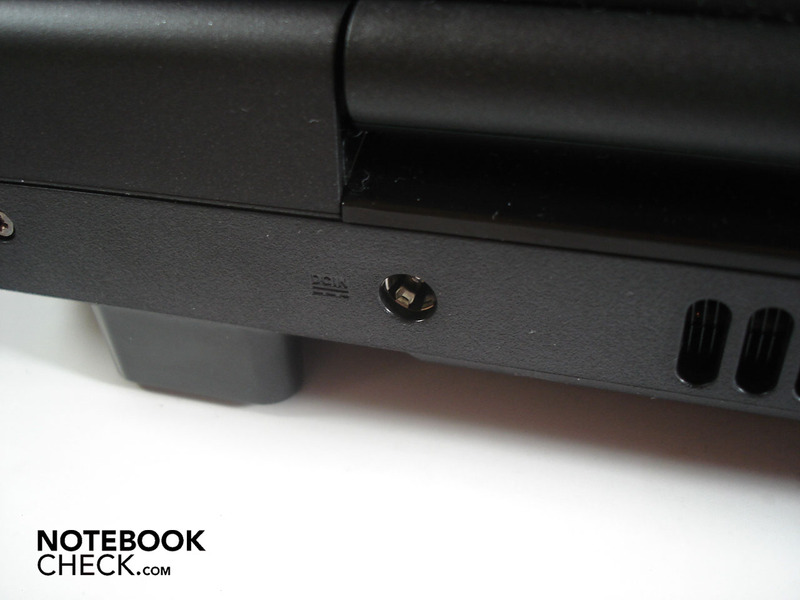 Because there aren't any ports in the front half of the sides, there aren't any cables that may cause an obstruction. 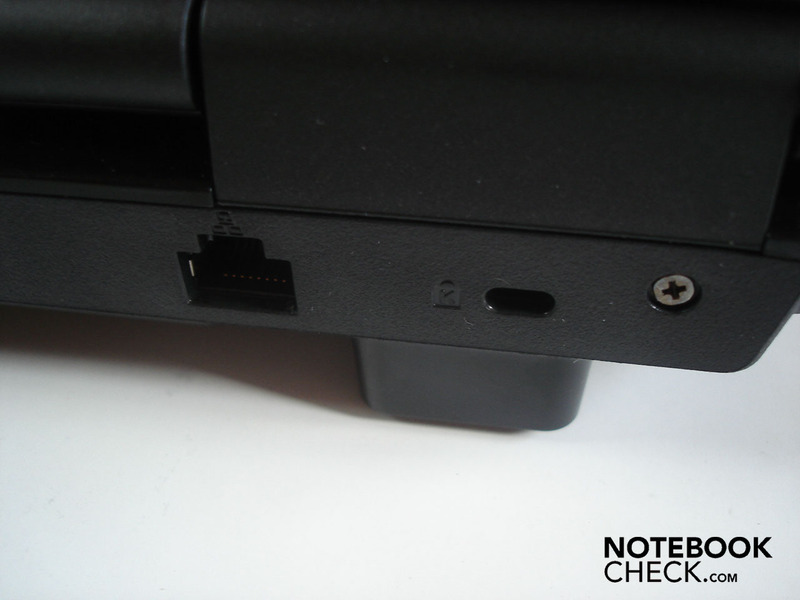 Due to the fact that the most important interfaces (network port, power supply and display connections) are on the rear, the sides basically remain unfettered. 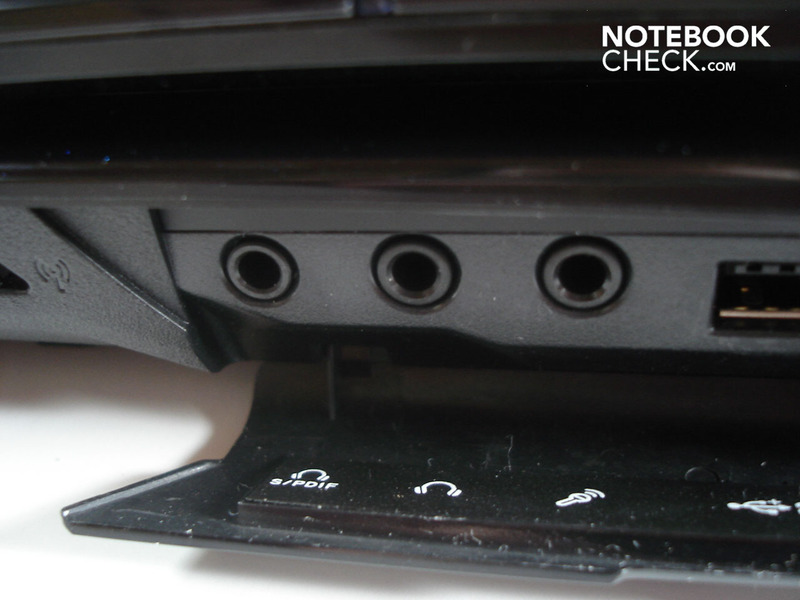 The user merely needs the lateral edges for connecting a mouse, a headset, or external loudspeakers. 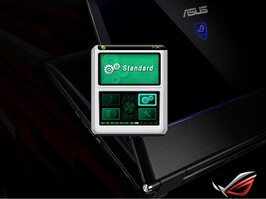 Asus has once again stuffed the installation with dozens of programs and tools. 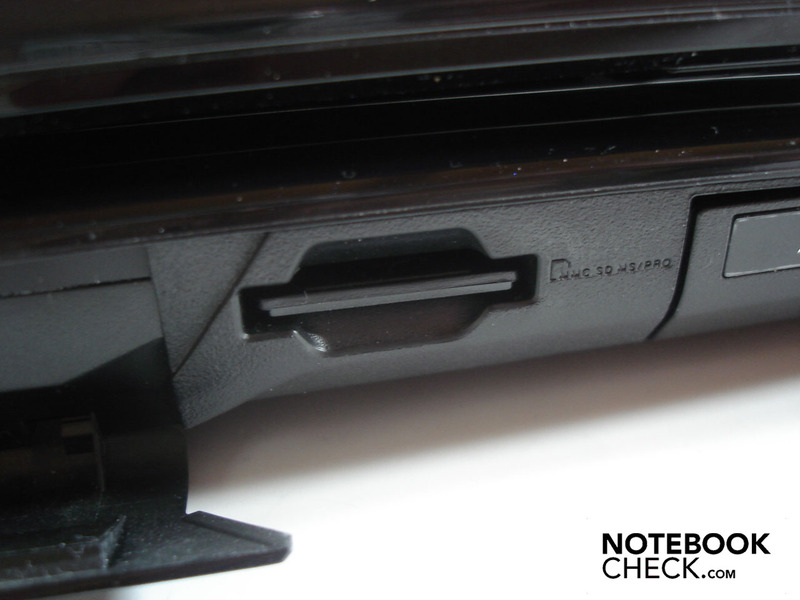 Due to the notebook's high efficiency, this barely has an impact on the system start and work velocity. We'd like to present three representatives of the software configuration as an example: With support from the nicely executed "Control Deck" the display brightness, the volume and the display resolution, among others, can be controlled easily and intuitively. The program "Turbo Gear" makes additional energy saving strategies available, which can be changed with a simple push of a button. 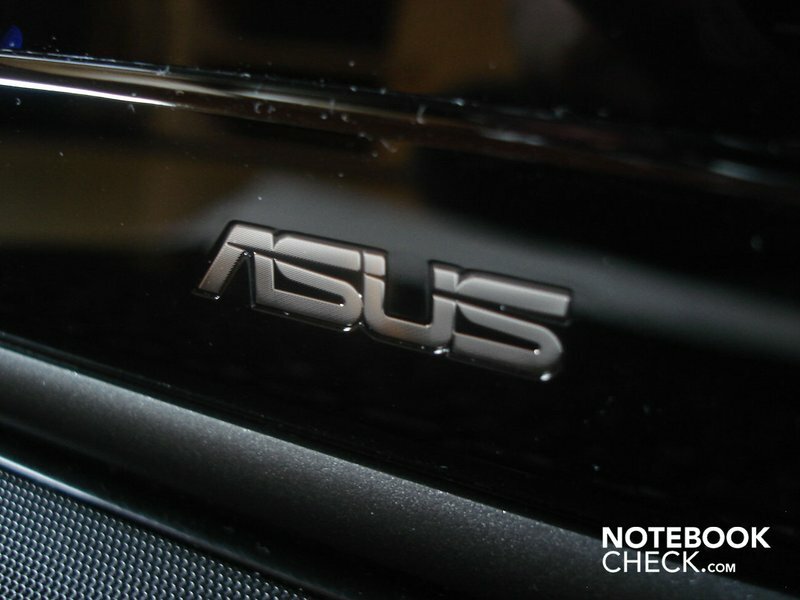 This time, Asus has foregone on a turbo mode that provides for a CPU overclocking in the G72GX. A smart decision if you look at the temperatures under load (more about this in the "Emissions" part). The Express Gate support can be classified as very practical. With ExpressGate, the user has the option of accessing various functions, such as email or instant messengers, within the shortest time and without having to wait long for the operating system to boot. The included supplies in form of a backpack and a mouse probably will let the buyer jump for joy. The mouse is from Razer and listens to the name Copperhead. 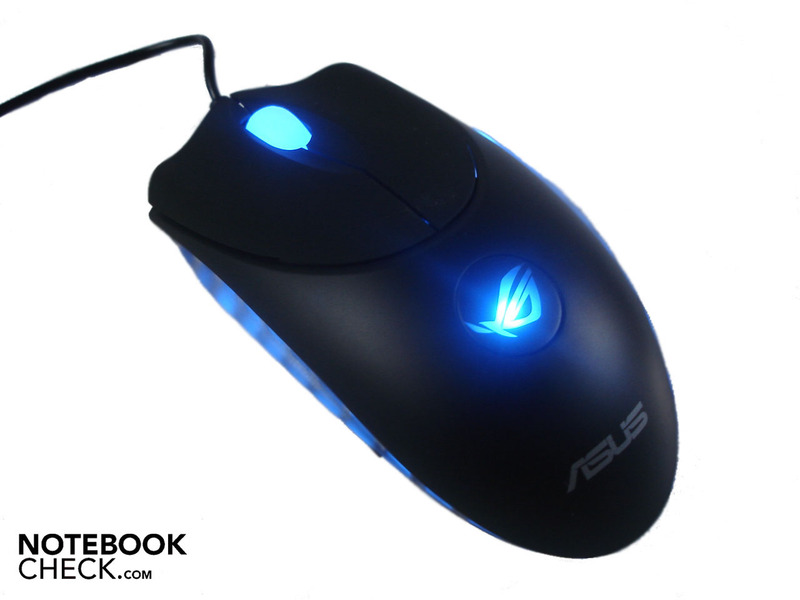 It's perfectly suitable as a gaming mouse due to its high precision and also looks great with its blue light. 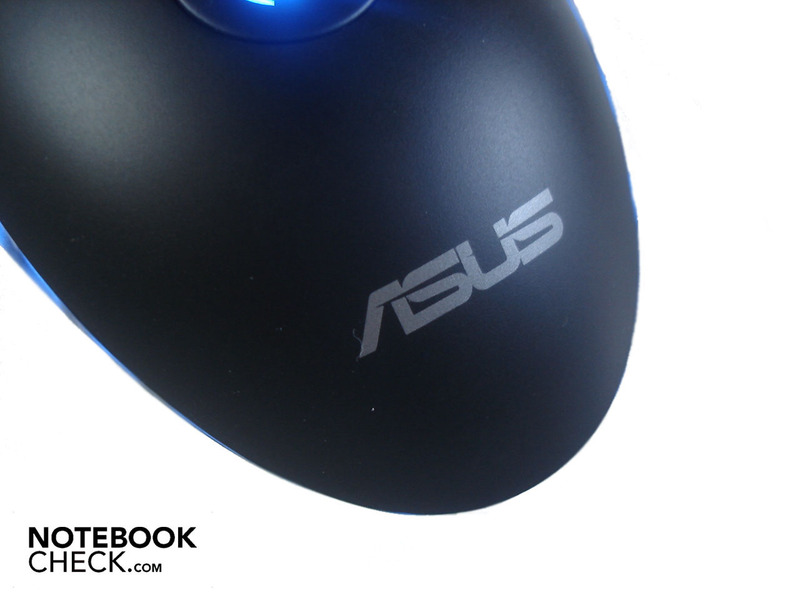 The mouse is suitable for both lefties and righties due to its symmetrical form. 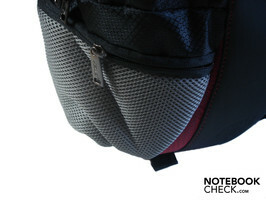 The G72GX black backpack (green/black for both G60VX and G60J) is enthralling with its red and grey accentuations and generally makes an excellent impression. The used materials look very (high) qualitative and the perfect manufacturing is beyond all doubt. Furthermore the backpack has a vast amount of storage possibilities and is therefore not only suitable for carrying the notebook. In opposition to the supplies, the keyboard isn't really a reason for exultation. 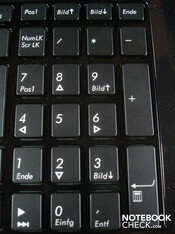 The G72GX has a separate numerical block and the majority of keys have a pleasant size, but the keyboard yields obviously in some places and the key pressure point is slightly indistinct. Also, the keys partly clatter at use, which doesn't actually make a high-end impression. At least the keyboard layout sedates the tempers again. 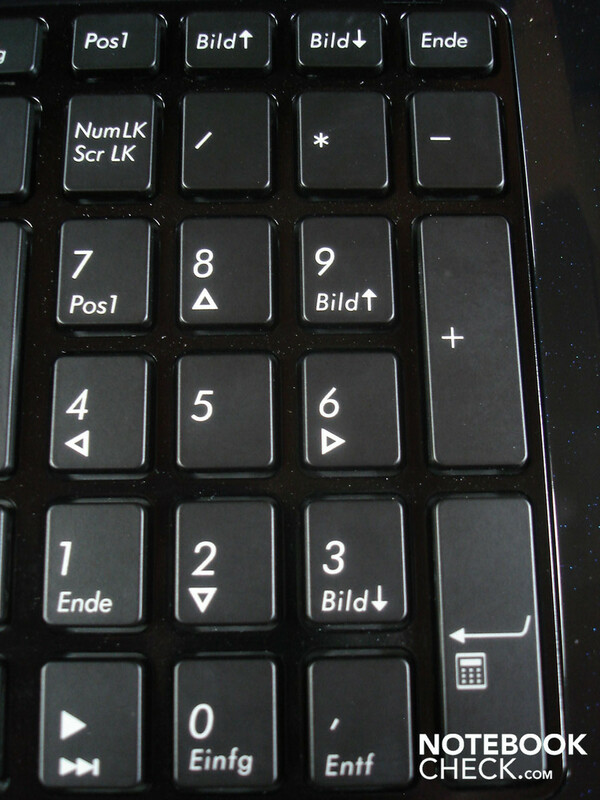 As usual, various comfort functions can be controlled via Fn key combinations. Among others, the volume and brightness control, sound muting, disabling the display and the touchpad and managing several displays and WLAN/Bluetooth. 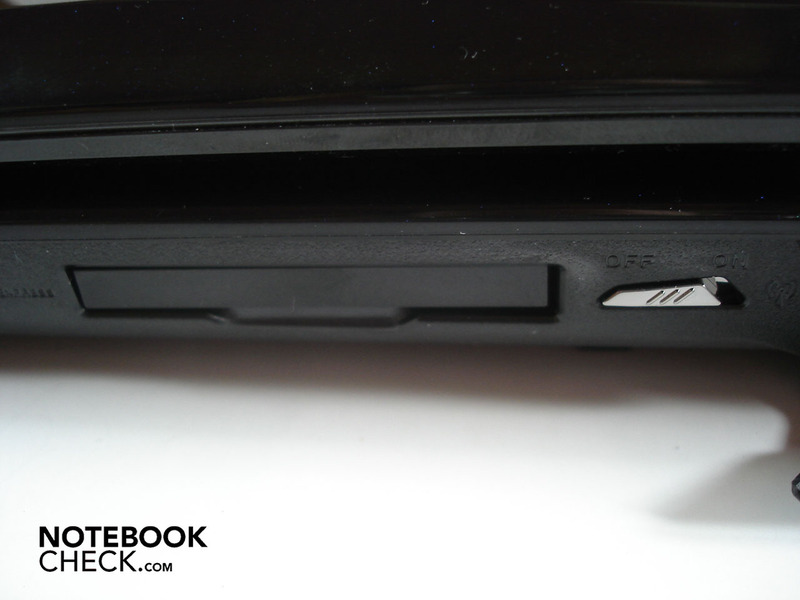 Asus has dimensioned the G72GX's touchpad surprisingly big. Therefore, together with the high precision, it's exceptionally easy to cope with even longer distances via the mouse cursor. 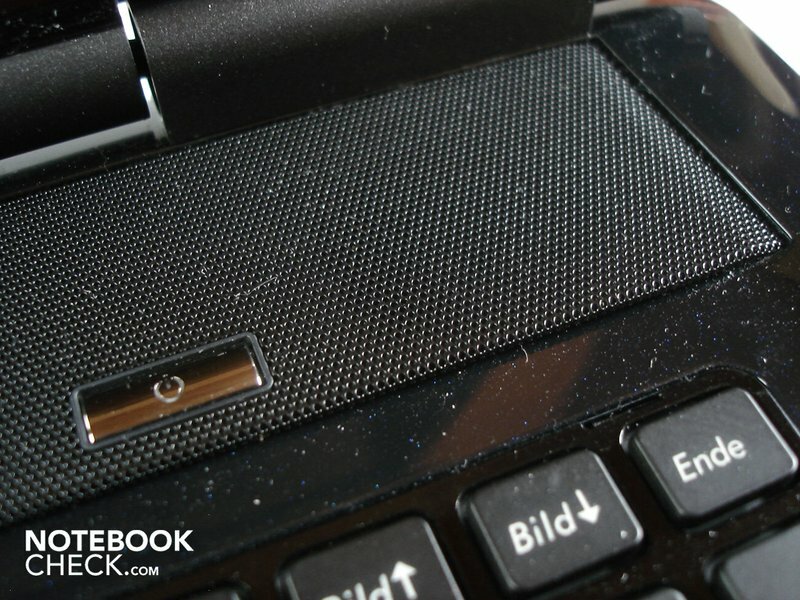 We didn't find the touchpad's knobby structure, as it is also used sometimes in Asus' smallest ones like the EEE PC 1005HA, as pleasant though. Another problem: Because of the touchpad's size, it often happens at gaming that you unintentionally move the mouse cursor or fire a shot. 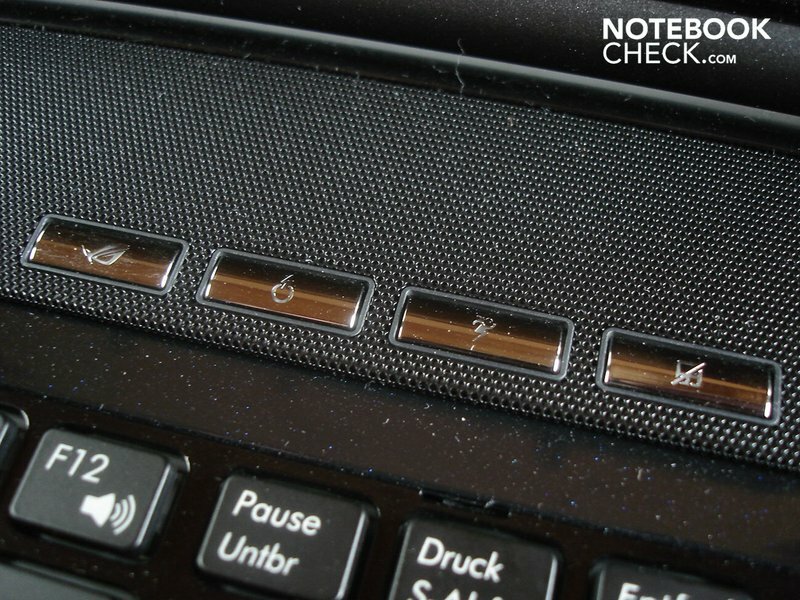 Talking about unintentionally: the touchpad supports numerous gestures that are sometimes triggered accidentally. This applies especially to the scroll and zoom function. 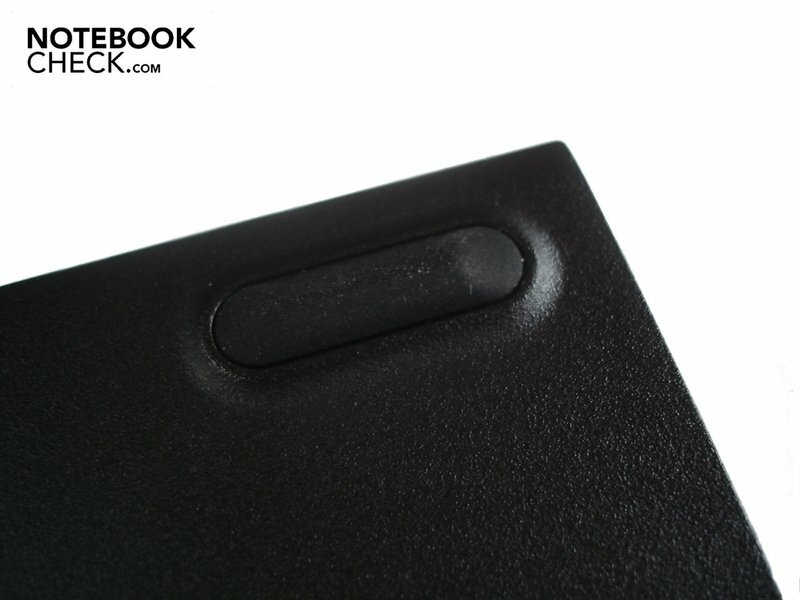 Both touchpad keys are made of one solid bar that have a good pressure point and provide a good acoustic feedback. 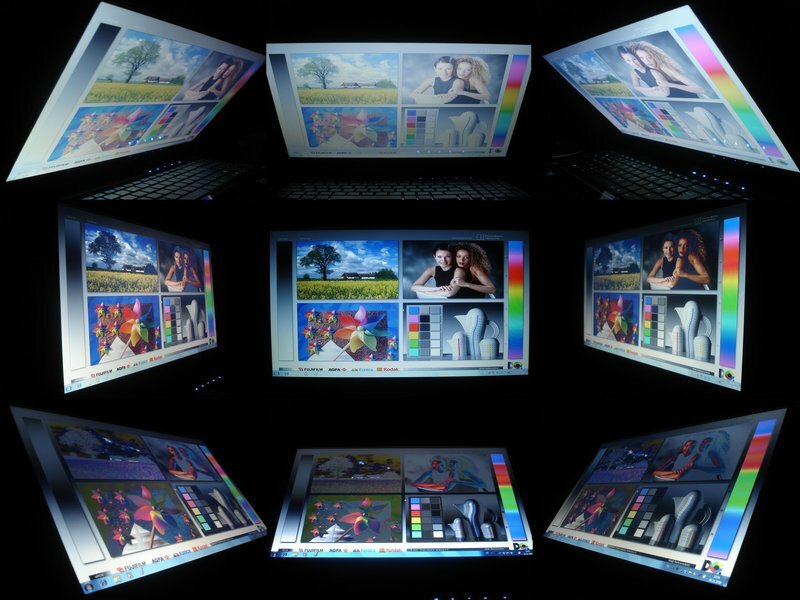 The G72GX's 17.3 inch display has a 16:9 format, applies a resolution of 1600 x 900 and has an LED backlight. The display's values turn out majorly unglamorous. The average luminosity of 213.1 cd/m2, as well as the black value of 1.15 cd/m2 is on a good level. In opposition to the (still) good illumination of 76%, the contrast of 191:1 is fairly meager. 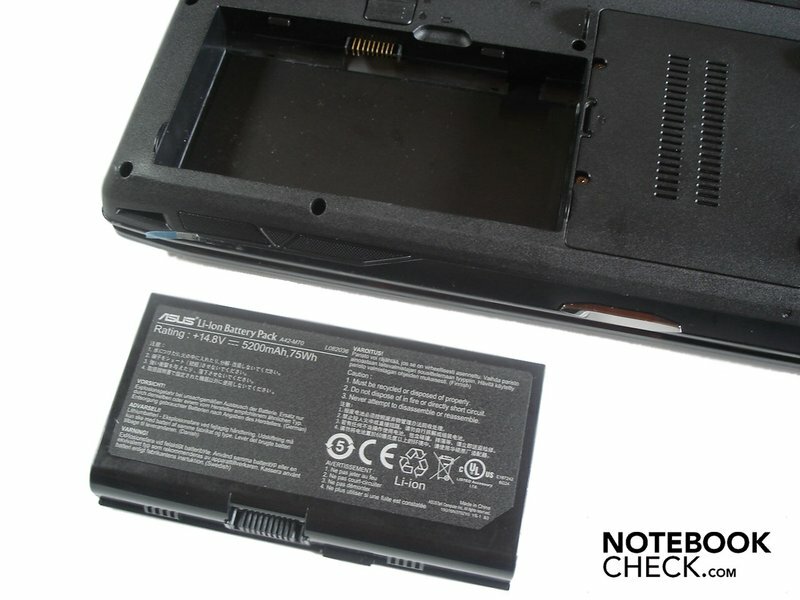 To us, the notebook seemed disappointingly pallid and colorless, especially in comparison to the displays of the recently tested notebooks Alienware M15x and mySN XMG7.c. Main point of critique is the intense reflections that make an outdoor use of the G72GX almost impossible. You have to consider the notebook's positioning even indoors to be spared from annoying reflections. 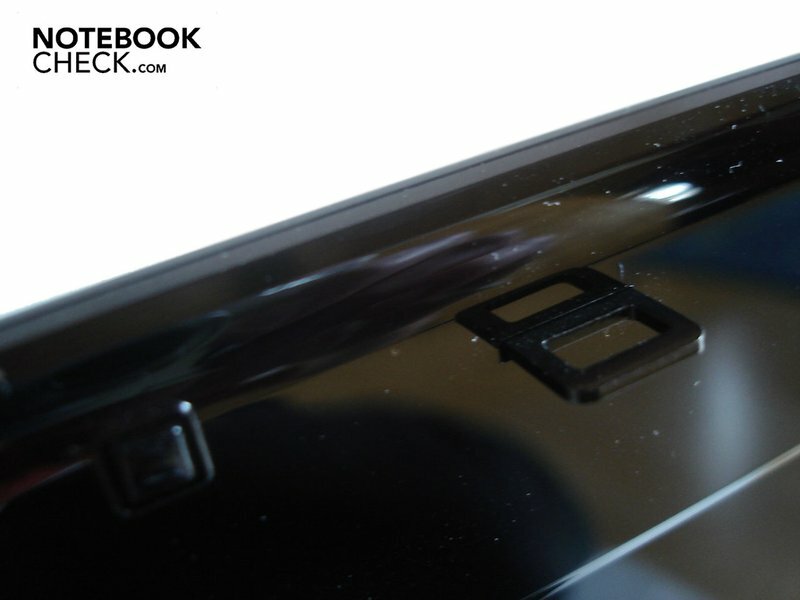 A further flaw is the very restricted viewing angle stability. Whilst these are just still okay on the horizontal plane, they lead to color deviations and brightness differences already at the slightest viewing angle alteration. No matter how we tilted the display, one half of the screen was always grayish. That what is rather insignificant in office mode proves to be tremendously disturbing at gaming or a cozy movie night at the very latest. 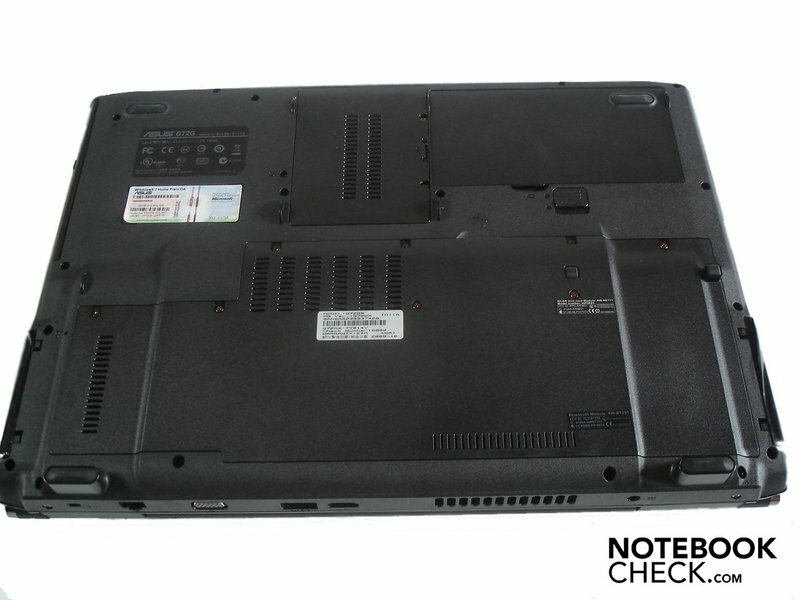 Whilst the majority of more expensive gaming notebooks use Intel's new Core i7 architecture in the meantime, Asus stays loyal to the old Core 2 architecture, at least in the G72GX. 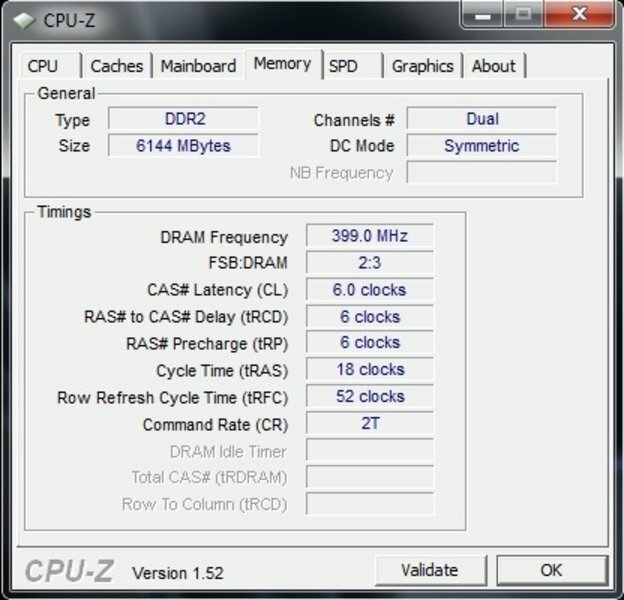 Hence, a Core 2 Quad Q9000 is employed as the CPU. 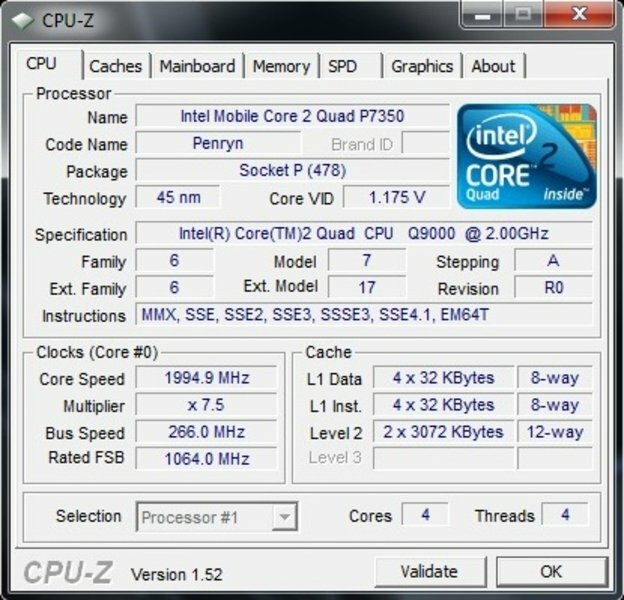 This quad-core processor has a 6 MByte L2 cache, a 1066 MHz FSB and clocks with 2.00 GHz. 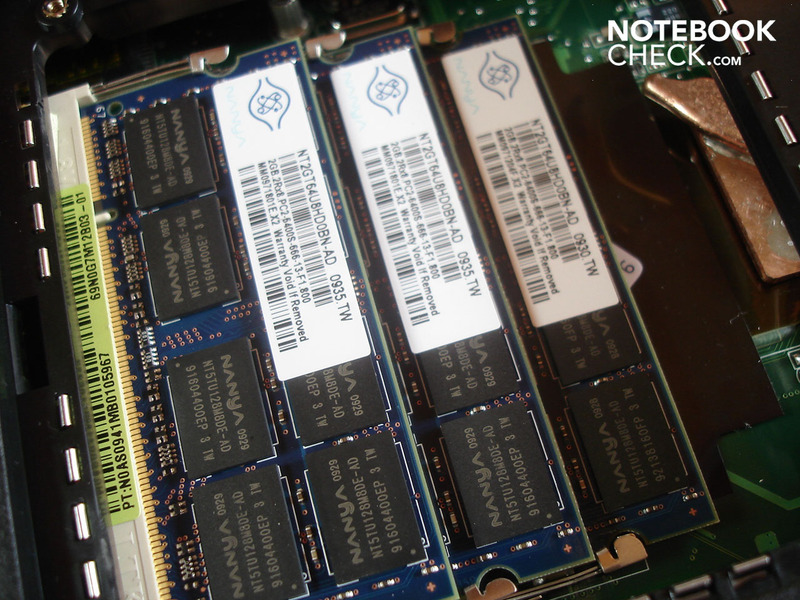 The Q9000 is manufactured in a 45nm structure width and needs quite a lot of energy due to a TDP of 45 W. The Q9000 is supported by an opulent 6144 MByte DDR2 RAM with 800MHz. Because the 64 bit variation of Windows 7 Home Premium is applied as the operating system, the entire memory capacity is available. 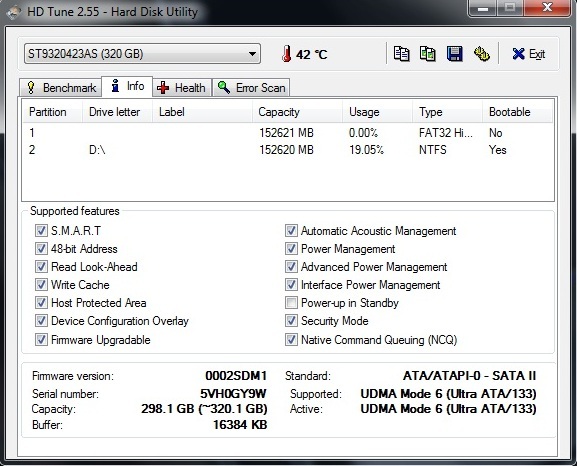 The hard disk capacity is rather abundant. 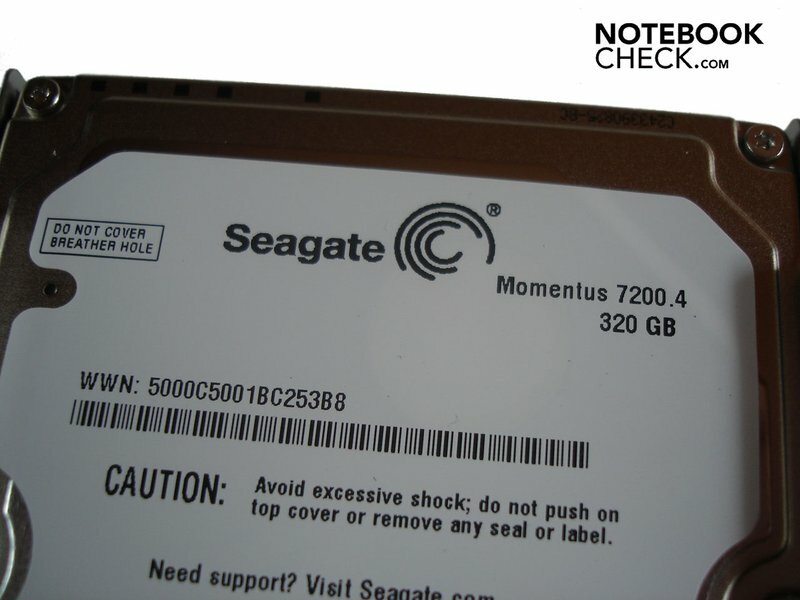 There are already two 320 GByte hard disks from Seagate in the G72GX. 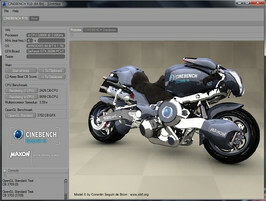 The package is rounded off by Nvidia's GeForce GTX 260M, which does its job as a graphic card. The GeForce GTX 260M is equipped with one GByte GDDR3 VRAM, 112 stream processors and Pure Video HD technology. 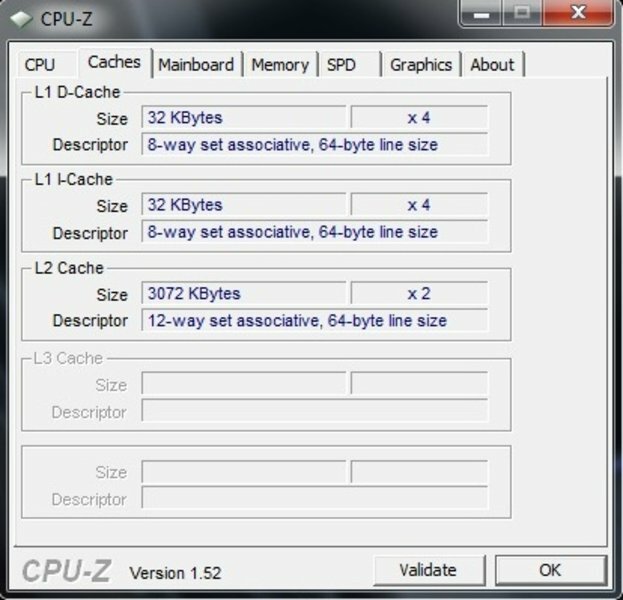 The latter helps the CPU compute high resolution video material. The GTX 260M is technically based on the G92b core (thus, the graphic card isn't related to the desktop GTX 260), supports DirectX 10.0 and is manufactured in a 55nm procedure. 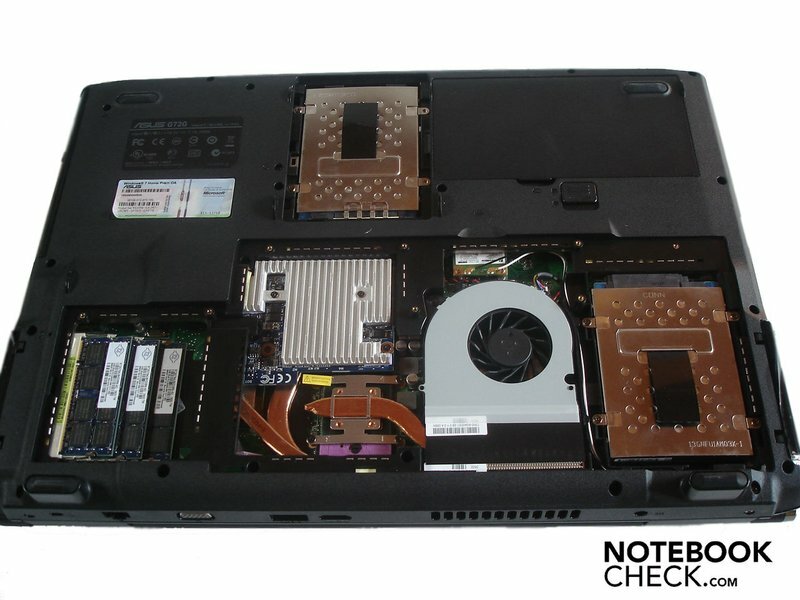 Due to the high power consumption of up to 75 watts, the GTX 260M is only suitable for larger notebooks and/or notebooks with an efficient cooling system. 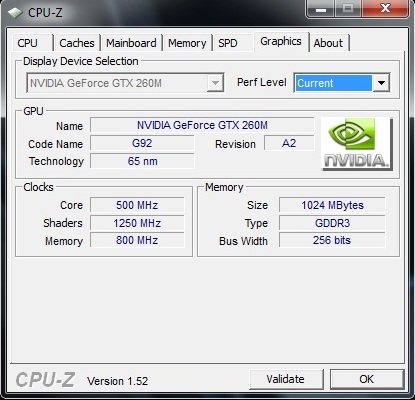 The GeForce GTX 260M normally clocks with up to 550 MHz (core), 950 MHz (memory and 1375 MHz (shader). 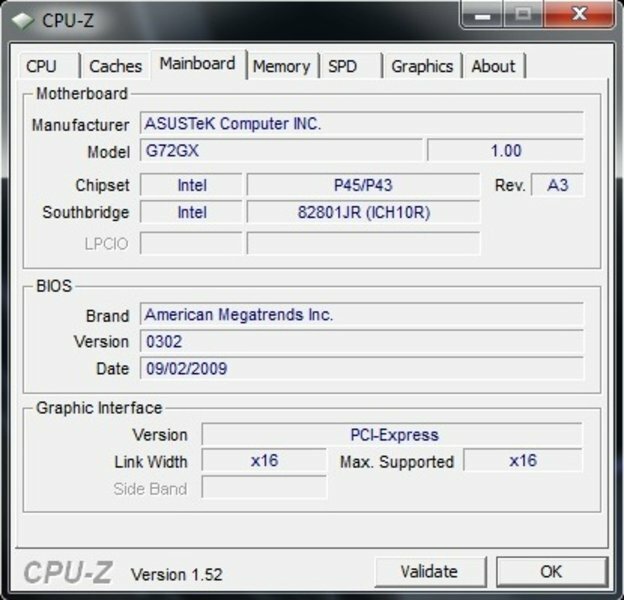 Asus has reduced the clock rate to 500 MHz (core), 800 MHz (memory) and 1250 MHz (shader), though. The reason would probably be, as already in the omitted Turbo Mode, the component's considerable temperature development. We'll look at how the missing MHz affects the system in the following graphic benchmarks. But let's start with the CPU-prone benchmarks. 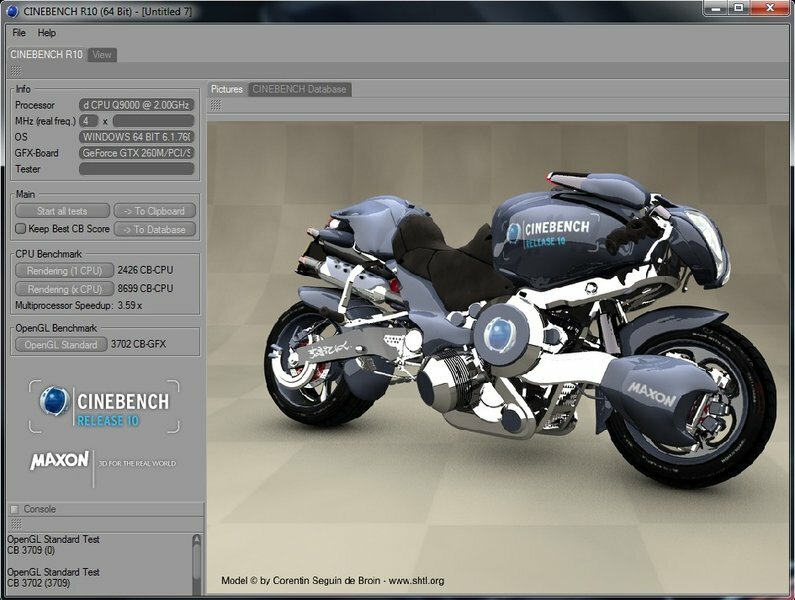 Intel's Core 2 Quad Q9000 achieved a good 2426 points in single-core and a very good 8699 points in multi-core rendering in Cinebench R10. Nevertheless, a Core i7-720QM (as it's used for example in Alienware M15x) tops this with 3388 points in single-core and 9959 points in multi-core rendering. In return, the difference in PCMark Vantage turns out lower with 5245 points (Q9000) to 5884 points (i7-720QM). And now we're already at the GPU-biased benchmarks. 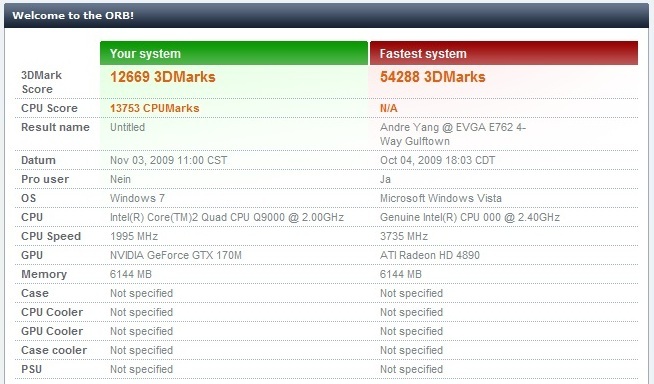 We use both a high-clocked GeForce GTX 260M (in the Alienware M15x) and the equal competitor card ATI Radeon HD 4850 (in the MSI GT725) for comparison, as also in the gaming benchmarks. The Radeon HD 4850 with 16496 points as well as a high-clocked GTX 260M with 16611 points show themselves considerably faster than the low-clocked GTX 260M in the G72GX with 12669 points in 3DMark05. 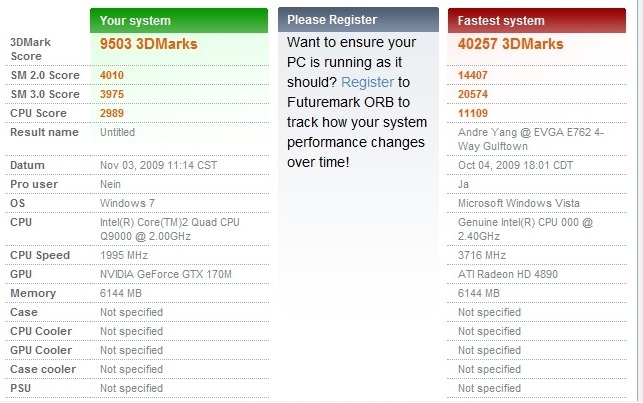 The low-clocked GTX 260M with 9503 points and the Radeon HD 4850 are similarly fast in 3DMark06. Alienware M15x's high-clocked GTX 260M surpasses both with help from its Core i7 processor with 11080 points though. 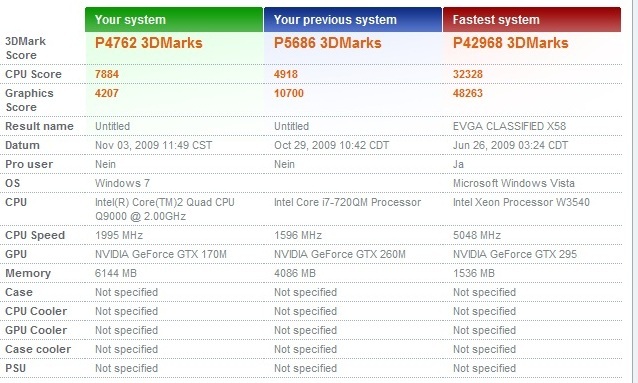 The low-clocked GeForce GTX 260M with 4762 points to 5500 points of the Radeon HD 4850 and 5685 points of the high-clocked GeForce GTX 260M is at a disadvantage in 3DMark Vantage. 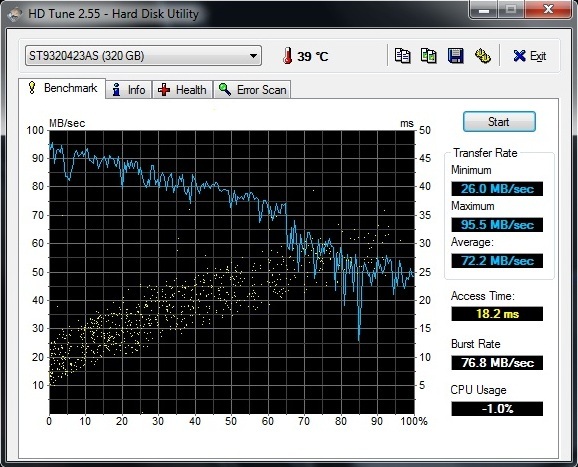 The values of both 320 GByte hard disks turn out quite similar. According to HD Tune, the average transfer rate is an excellent 72.2 - 75.7 MB/s. The access rate of an average 17.2 - 18.2 ms, as well as the adequate throughput rate of 76.8 - 78.2 MB/s could be better, though. The CPU and the RAM received 6.9 points, the graphic card 6.7 points and the hard disk 5.9 points in Windows 7 performance index (maximum rating 7.9). Basically a good performance. 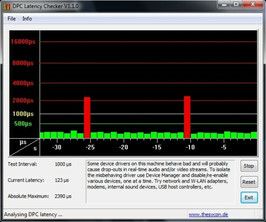 Users of external devices, such as sound cards, should consider the latencies under Windows. If these are too high, it can come to problems, for example sound crackling. 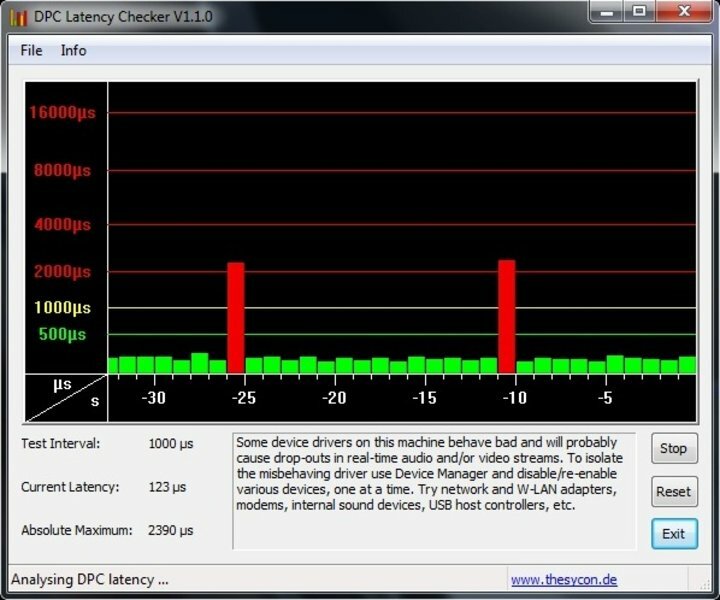 The G72GX's latencies remained mostly within a green field of under 500µ in the DPC Latency Checker tool, but the latency did shoot up to over 2000µs every now and again. Generally, the given application performance is very good, even though it is rather a pity that Asus hasn't used Intel's Core i7 and a higher clocked GeForce GTX 260M, as performance is wasted this way. The case's cooling capacity obviously sets limits here. Our standard resolutions of 1024 x 768 and 1024 x 1024 as well as the display's native resolution of 1600 x 900 were applied in the gaming benchmarks. 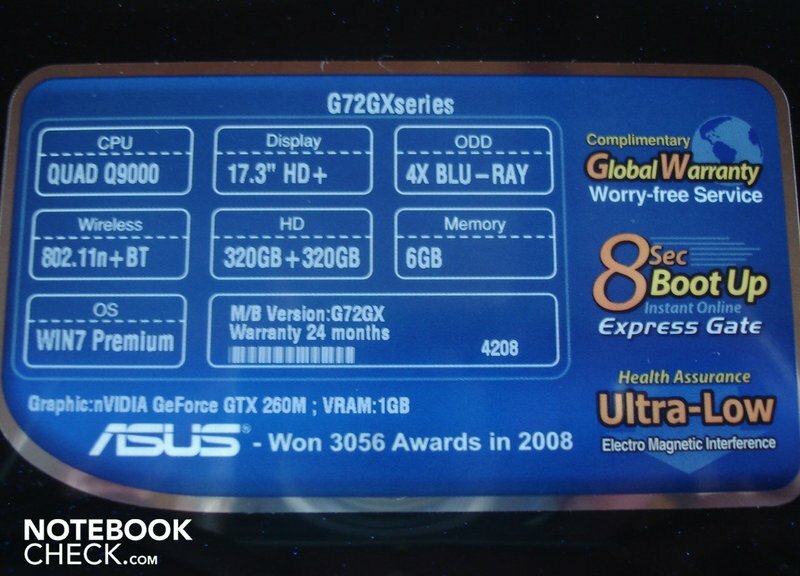 We also tested only in high or very high details because the GTX 260M promises a good performance. Let's start with the most demanding game in our benchmark course first: Crysis. The Asus G72GX already had to struggle at a resolution of 1024 x 768 with high details and didn't run consistently smooth with 30.7 fps in the CPU and 31.0 in the GPU benchmark. Both the MSI GT725 (Core 2 Duo P9500, Radeon HD 4850) with 41.0 fps in the CPU and 44.8 fps in the GPU runthrough, and the Alienware M15x (Core i7-720 QM, high-clocked GeForce GTX 260M) with 39.2 fps in the CPU and 41.9 fps in the GPU runthrough computed noticeably faster. The G72GX's performance even broke down to a jolty 24.7 fps in the CPU and 24.5 fps in the GPU benchmark at a resolution of 1600 x 900. Due to the beautiful graphics, you could call Anno 1404 the Crysis of real time strategy. Therefore, the hardware demand in very high details and 4x AF isn't to be scoffed at. The G72GX with its Core 2 Duo Q9000 and its GeForce GTX 260M does more than just well at a resolution of 1280 x 1024 and conjures a round 44.0 fps on the screen. Anno still runs mostly smooth even at a resolution of 1600 x 900 with 37.8 fps. 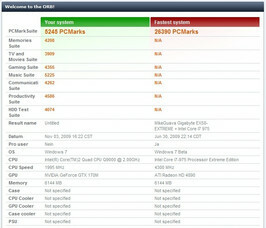 The Radeon HD 4850 computes about as fast in a resolution of 1280 x 1024. The GeForce GTX 260M feels very comfortable with high details and 4x AA in both resolutions of 1280 x 1024 (67.4 fps) and 1600 x 900 (50.6 fps) with F.E.A.R. 2. But the Radeon HD 4850 feels even more comfortable, as it overhauls at 1280 x 1024 with an average of 86.1 fps. You can take curves precisely, skills preconditioned, in the race game Race Driver GRID due to the GeForce GTX 260M. With 59.1 fps the opponents only see your backlights at a resolution of 1280 x 1024, high details and 2x MSAA. The Radeon HD 4850 only passes the finish line slightly faster with 62.1 fps. The G72GX's refresh rate at a resolution of 1600 x 900 is conclusively 52.7 fps. Many probably just can't wait for the launch of the successor. We still (unfortunately) have to be content with the "old" Call of Duty 4. Whilst the Radeon HD 4850 delivers a very good presentation of 66 fps at a resolution of 1280 x 1024, high details and 4x AA, the GeForce GTX 260M wins marginally with a slight advantage of 67.3 fps. A resolution increase to 1600 x 900 barely has an impact with 62.5 fps. Not only Call of Duty 4's successor is waiting at the starting line. Valve is unleashing Left 4 Dead 2, the alleged heir of the popular zombie shooter, on the gaming community. Because the engine has only been modified slightly, the Asus G72GX is fit for multiplayer duels, as we can see in the first part: Whilst Left 4 Dead already runs smoothly with 58.3 fps in high details and a resolution of 1600 x 900, the GeForce GTX 260M passes slightly over the 100 fps mark with 103.3 fps at a resolution of 1024 x 768. In summary, the gaming performance can be classified as very good. All tracks tested by us, with exception of Crysis, could be run smoothly in high details and with the native resolution of 1600 x 900. 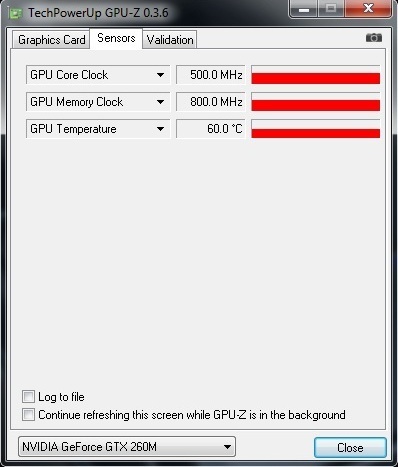 The Asus G72GX can't quite reach the level of a system with Core i7 and a higher clocked GeForce GTX 260M anyway. Too bad. 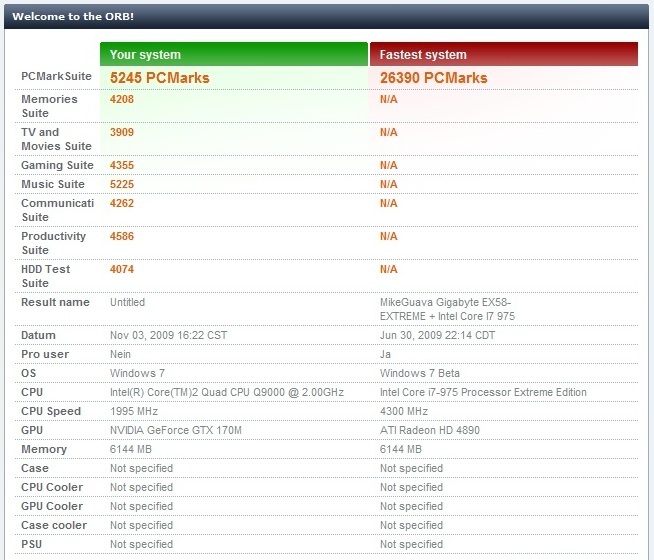 The GeForce GTX 260M can keep up quite well with the Radeon HD 4850, in comparison. Generally, the Radeon HD 4850 has a slight advantage, though. The G72GX really can't be called a pussyfooter. 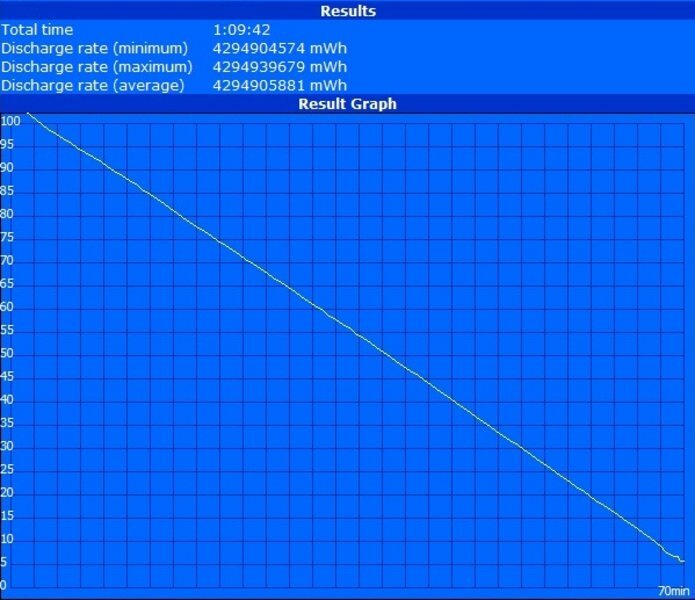 The notebook turned up to a very audible 37.3 dB(A) already in idle mode. 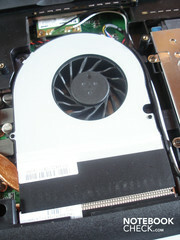 The DVD drive was a bit louder at DVD rendering with 40.2 dB(A). The noise level even increased to a disturbing 42.1 - 47.8 dB(A) under load. You almost have the feeling, you're sitting beside a jet ready for take-off. The soundscape relativizes itself somewhat in loud games, but the user should keep a larger distance at movies. Our evaluations were made at a distance of 15 cm. 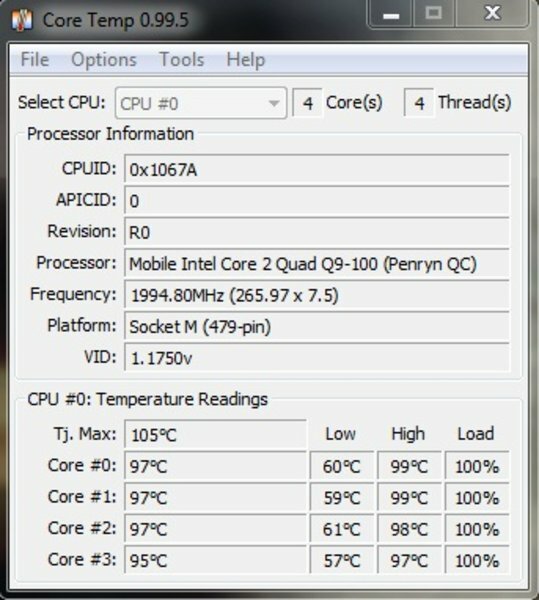 Asus had done a good job on the surface temperatures. Both the upper side with a maximum of 33.7°C, as well as the bottom with a maximum of 34.8°C stay pleasantly cool in idle mode. The upper side's temperature increases up to 43.7°C under load but the wrist rests stay exemplary cool with a maximum of 27.7 °C. In return, the bottom heats up decently with up to 47.7°C. As long as you don't take the G72GX on the lap, you won't notice this much, though. The situation inside the case, in regards to the components, looks a lot worse. Whilst the temperatures of the CPU level off to about 50°C and the GPU to around 60°C in idle mode, the cooling revealed big weaknesses in our endurance test (Furmark + Prime95). 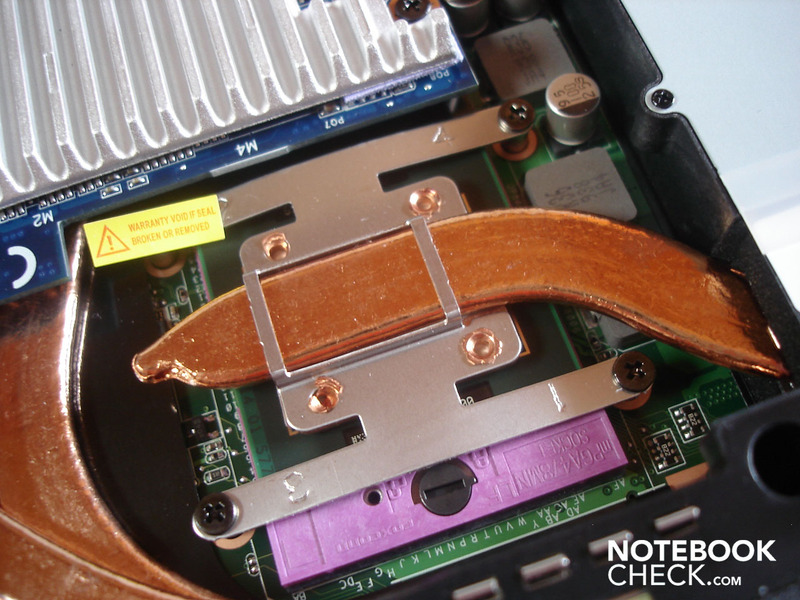 Thus, both the CPU (up to 97°C) as well as the GPU (up to 102°C) get alarmingly hot. 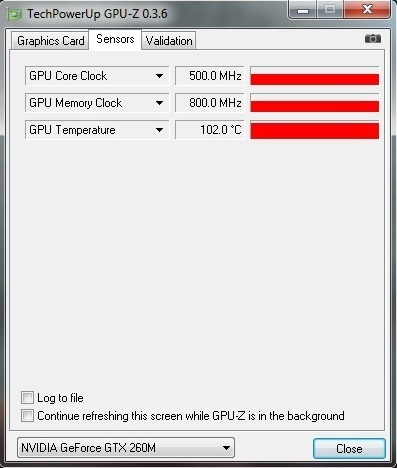 As a result, the graphic card clocks down every 20 - 30 minutes for about 10 seconds. Naturally, these temperatures aren't exactly beneficial for the components durability. Because situations with such a high system load is barely to be expected at normal gaming use, a throttling during a game shouldn't turn up even in the long run. In any case, our benchmark course ran without errors. (±) The maximum temperature on the upper side is 43.7 °C / 111 F, compared to the average of 39.3 °C / 103 F, ranging from 21.6 to 68.8 °C for the class Gaming. The Altec/Lansing loudspeakers gave a surprisingly good performance. We enjoyed the soundscape (especially in shooters like F.E.A.R. 2) because of its clarity, its good localization and its full basses not least due to the EAX 4.0 support. The loudspeakers sometimes showed themselves as drowned out and tinny at demanding music. The maximum volume was impressive, though. 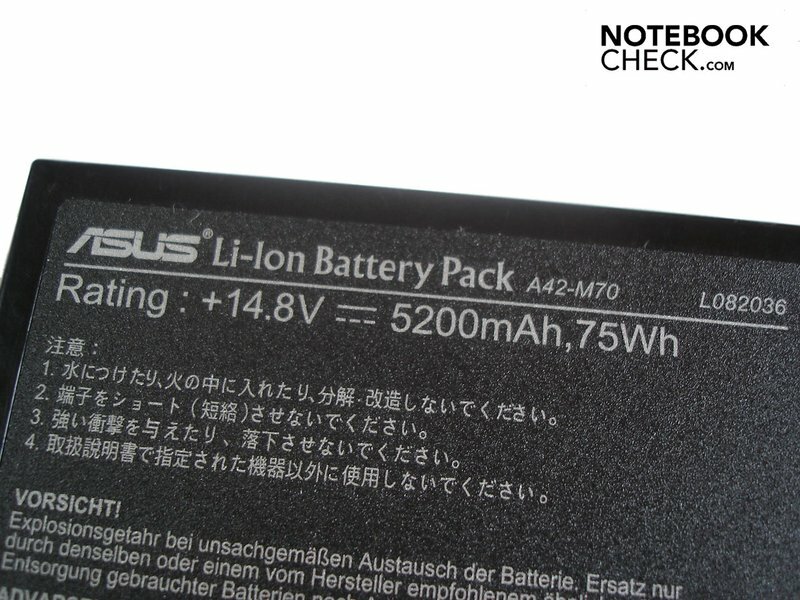 Asus has selected a voluminous eight cell lithium ion battery with a capacity of 75 Wh. However, its runtime leaves a lot to be desired. The G72GX was already exhausted after about 70 minutes under full load (Battery Eater's Classic test) with maximum brightness and disabled energy savings options. The runtime barely increased at DVD rendering with maximum brightness and average energy savings mechanisms to only 78 minutes. The runtime was also only marginally higher at surfing via the integrated WLAN. A scanty 83 minutes with maximum brightness and average energy savings mechanisms don't exactly lead to top marks. 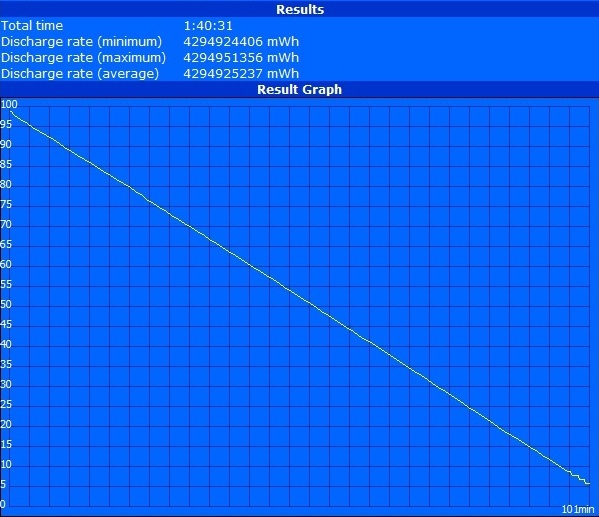 The two hour mark was still very remote, as the G72GX was already yearning for the mains after 101 minutes, despite minimum brightness and maximum energy savings options (BatteryEater Reader's test). In accordance, the power consumption turned out to be fairly high. The G72GX already treats itself to between 45.8 and 59.0 watts in idle mode. With the preset screensaver it was even a hefty 73.1 watts. 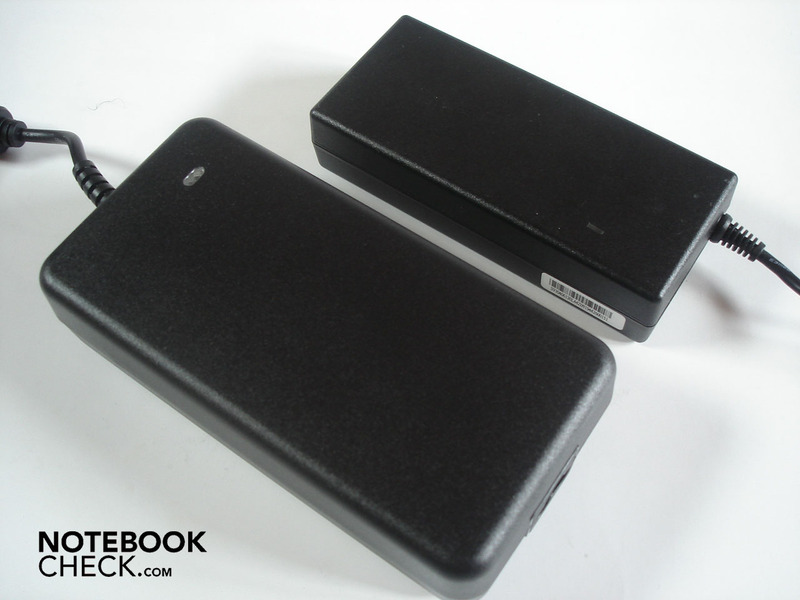 The power requirement rocketed up to between 93.6 and 143.0 watts under load. Furthermore, the consumption in a deactivated state proved to be too high: 0.6 watt are far too high and not necessary as other notebooks prove. A further annoyance: The G72GX changes the energy savings plan without authorization at system (re-)boots and pulling the plug. 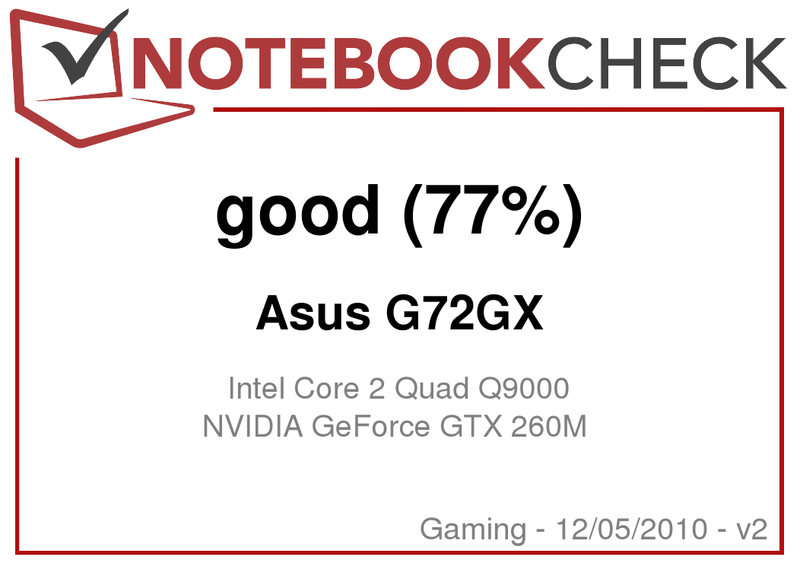 Basically, the Asus G72GX made a good impression. 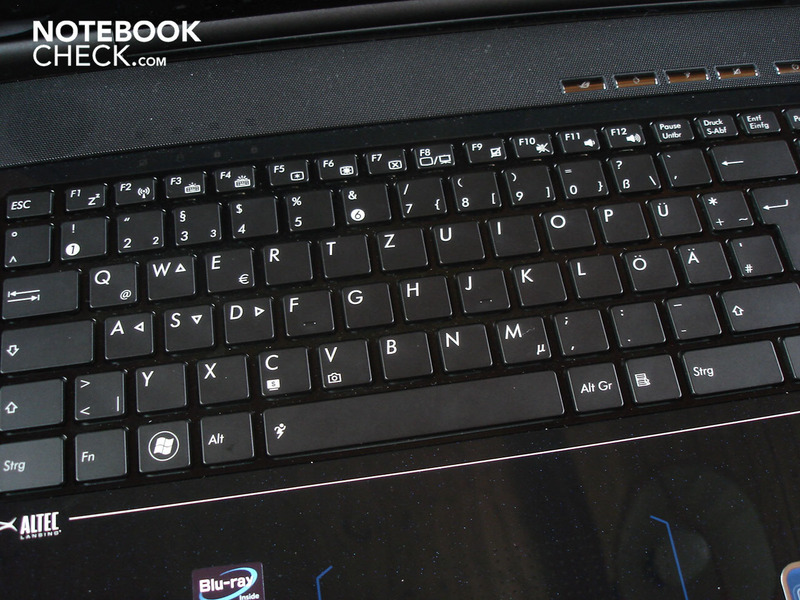 In comparison to the predecessor, the G71GX, Asus has gingerly improved a few areas. 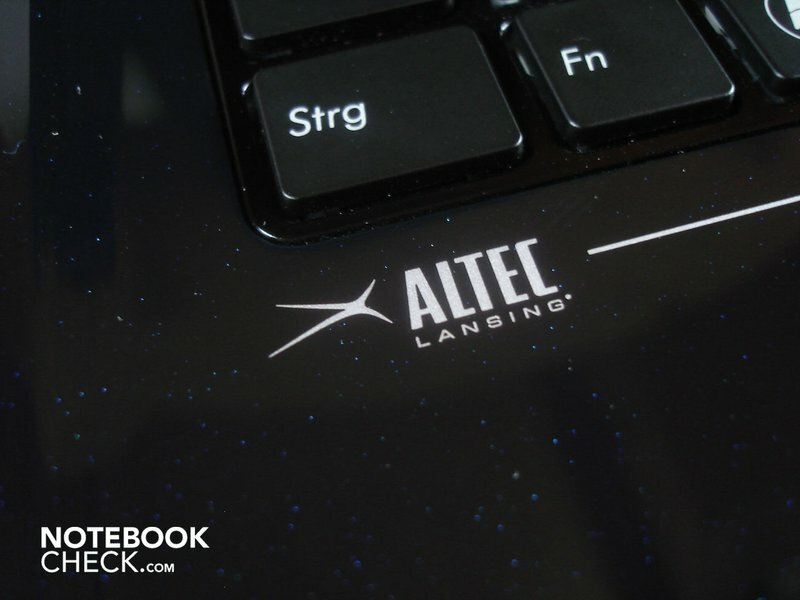 The good to very good application and gaming performance, as well as the chic design with the keyboard light are on the pro side. Additionally, the extensive configuration of a vast interface supply and a BluRay drive can distinguish the G72GX from the competition, just like the big touchpad and the high-end accessories included as a backpack and a Razer Copperhead mouse. The good sound quality with EAX 4 support also turns out over averagely. In return, the pallid and intensely reflective display with its inadequate viewing angle stability are on the con side. This is followed by the always high noise level, the alarming component temperatures under full load and, still easiest to cope with, the disappointing battery life. 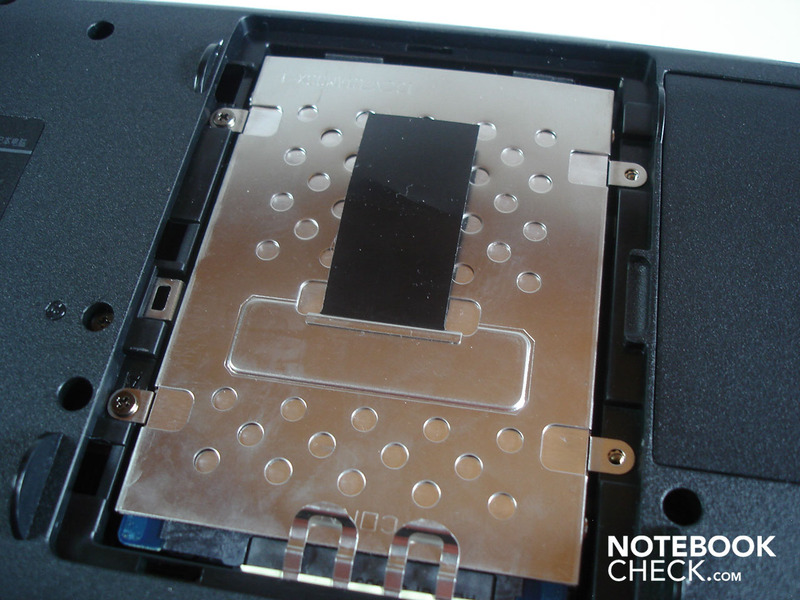 Finally, there is room for improvement in the yielding keyboard and the smudge-susceptible case surfaces. 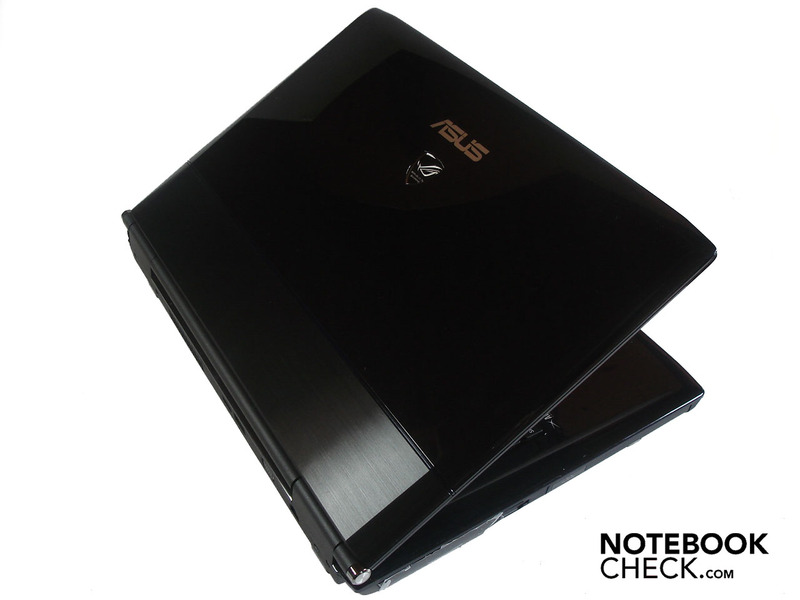 If you're looking for an efficient gaming notebook with a BluRay drive, and a high system noise as well as an average display quality doesn't deter you, you can definitely take a closer look at the Asus G72GX. ...and in an opened state. The vast options of connectivity including a perfect interface distribution. 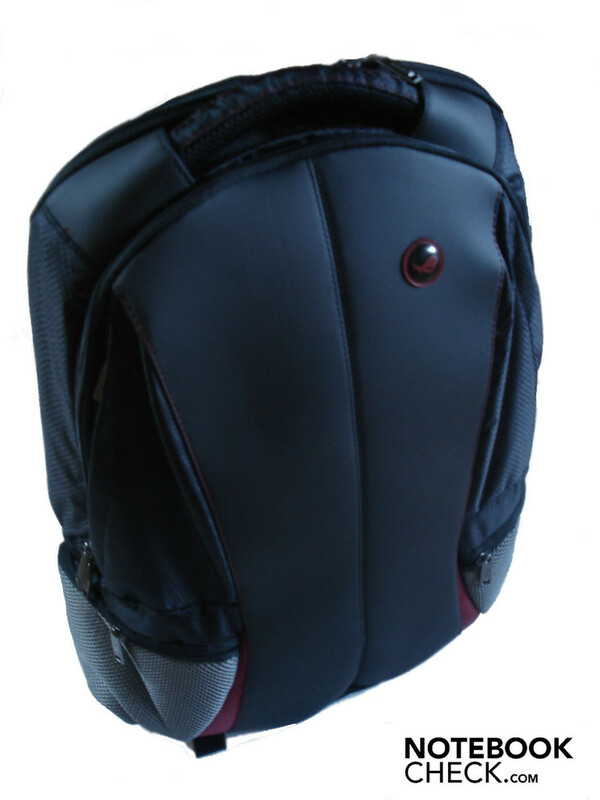 Also the sumptuous configuration with a BluRay drive, backpack and Razer Copperhead gaming mouse. 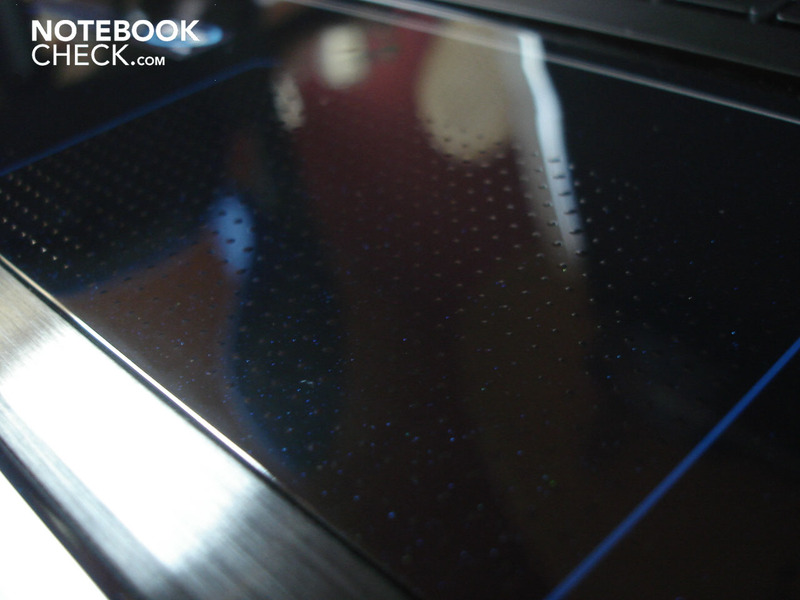 Finally, the unusually big touchpad and the quite good loudspeakers. A case that doesn't attract so much grime, a display that isn't as reflective and has a better viewing angle stability, a quieter soundscape and a longer battery life. 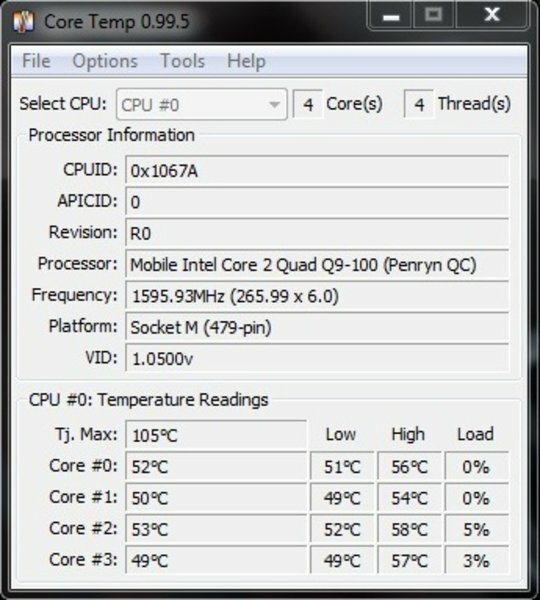 The alarmingly high temperatures of the CPU (up to 97°C) and GPU (up to 104°C) under full load. 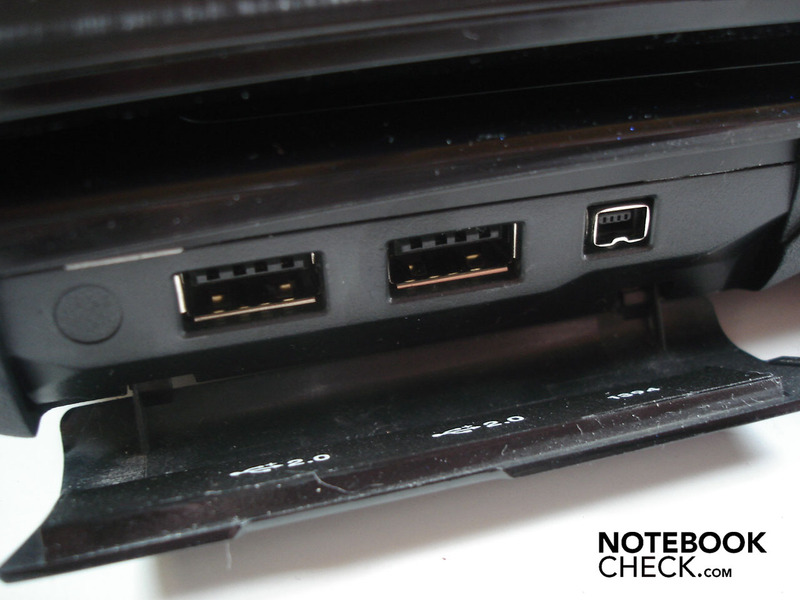 Other efficient gaming notebooks. With a GeForce GTS 160M like the MSI GT628. 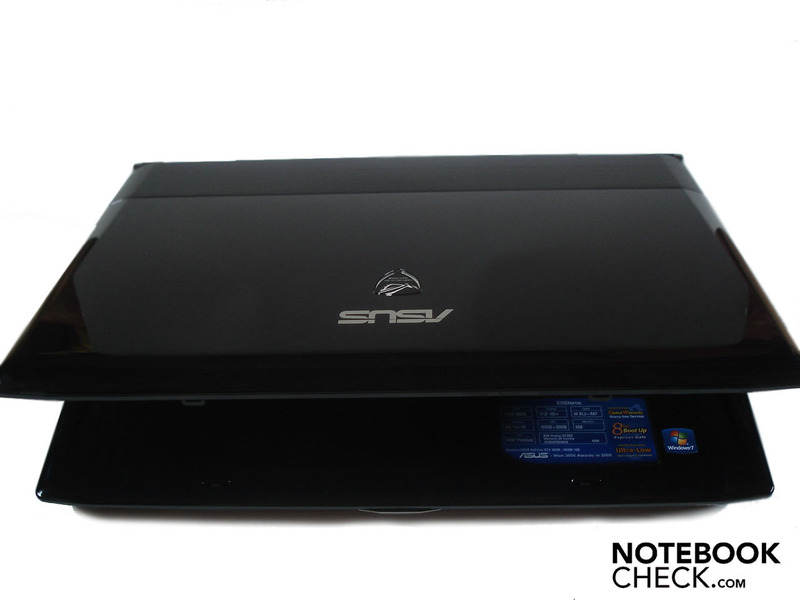 With a GeForce GTX 260M like the Asus G60VX, the Asus G71GX, the mySN XMG5 (Clevo M860TU) or the Alienware M15x. With a GeForce GTX 280M (SLI) like the Cyber System QX18 (Clevo M980NU) or the mySN XMG7.c (Clevo W870CU). And finally, with a Radeon HD4850 like the MSI GT725.